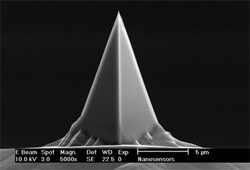 NANOSENSORS™ PPP-FMAu is offered for force modulation microscopy. 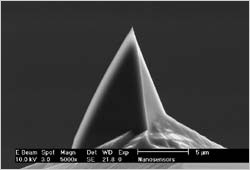 The force constant of this AFM probe spans the gap between contact and non-contact mode and is specially tailored for the force modulation mode. Furthermore non-contact or tapping mode operation is possible with the FM tip but with reduced operation stability.